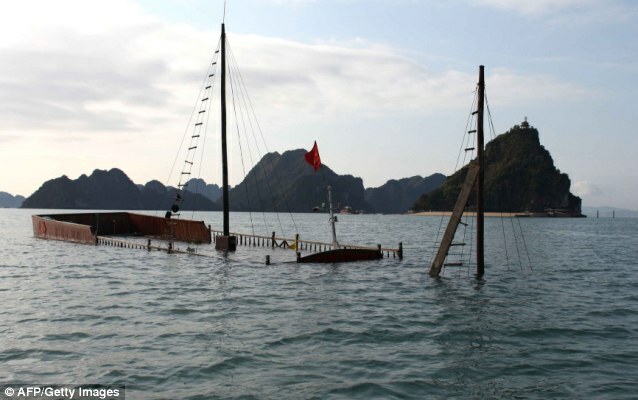 Tourist Ship Sinks on Vietnam’s Ha Long Bay. Twelve Dead. The Truong Hai, one of about 100 small ships that offer tours of Vietnam’s Ha Long Bay, sunk on Feb. 17 at 5 a.m. Vietnamese time, killing 12 people, two from the United States. The boat sank while passengers were sleeping. Early reports suggest that there were 27 people aboard. Among the dead are tourists from countries such as Britain, Australia, Sweden, Japan and the two from the United States. Fifteen passengers were rescued by other touring boats nearby. Ha Long Bay, a Unesco World heritage is popular with cruisers who come to view the limestone formations that jut out from the waters. This incident follows a 2009 sinking that cost the lives of five passengers and the 2006 storm that capsized many boats, killing 13 people, though no tourists were among the dead. In 2002, two boats were capsized killing several. “The boat took one minute to sink," said Stefano Corda, of Palermo, Italy, who was quoted in an AP report. "We went to the exit, and the boat was almost vertical," Corda said. "I grabbed my friend, we went out and it was so fast."